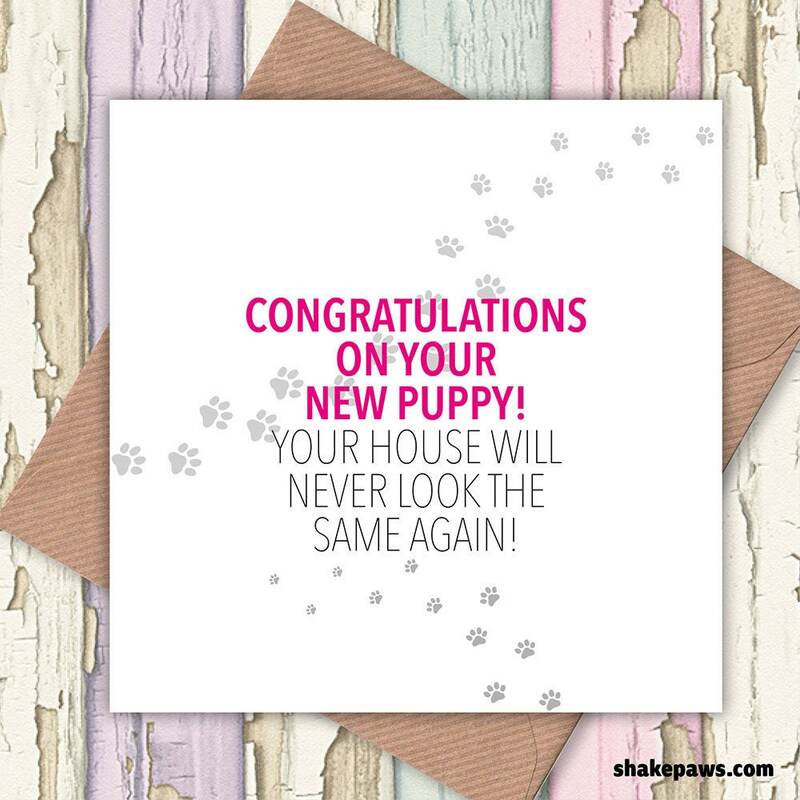 Send our ‘Congratulations on Your New Puppy – Your House will Never be the Same Again’ greetings card to a friend or family member who has recently brought a new dog into their life. Of course, it doesn’t have to be a puppy – most dog owners think of their dog as being a puppy, whatever its age. As a dog lover, we’re sure they will appreciate it!